Learn Basic Tips, Ideas on How to Prepare for an Interview? An interview is the method of conversation between two people and they are named as Interviewer and interviewee. The Interviewer is the person who conducts an interview on behalf of a company and the person who applies for the job will be the interviewer. In this article, let me discuss about the various aspects of the interview process and learn how to prepare for an interview? The interviewer asks questions and the interviewee responds to those question which determines the eligibility to join. Learning to prepare for an interview will give you an edge in the competition. Unfortunately, most people don’t spend too much time preparing for it. If you are fully prepared, you will stand out in the minds of the employment manager who compare the strengths and weaknesses of the candidate. Usually, two or more persons are involved in the interview. The person who asks the question is the interviewer, and the person who answers the question is the interviewee. So what is the definition of the interview? It can be defined as a formal meeting between two or more people, where an interviewer asks questions to the interviewee. So why do you want to conduct an interview? How can an interviewer help focus on the right candidate? We will find the goal or goal of the interview. The Interview process helps to verify the information provided by the candidate. This helps to determine the accuracy of the facts provided and the information of the candidate. Interviewing not only provides the interviewer with information about the candidate’s technical knowledge but also gives him an insight into his creative and analytical skills. This establishes the relationship between employees and the company. The candidate knows his job, the type of work he expects, and his understanding of the company is very useful. This is good for both the interviewer and the interviewee because they have both professional and personal experience. The Interview helps candidates assess their skills, where they are missing and where they need to improve. The job market is an ever-changing market. Sometimes it is good for fresher’s job seekers or experienced job seekers who are looking to apply for jobs and sometimes it is not. A large number of people are eligible for most job opportunities. Visit the organization’s website first to get valuable information about current priorities and strategies. Expand your search by searching for information about the company. This sometimes reveals valuable information to show your ingenuity. If possible, talk to current/ex-employees to learn more about organizational culture. When looking for a different source, you will get a more comprehensive picture of the company. What does the company do? It will help you to verify how your skills fit into the company’s operations. What products and services does the company offer? The HR manager will try to determine if you are a suitable job candidate. Our goal is not to determine if you are a good person, but if you have the talent and experience to add value to your organization. When preparing a conversation, you need to create a success story that focuses on the results and you can rely on during the interview. These successes will demonstrate their talents and ability to achieve results. 2.) Explain what you did? 3) Determine the specific results obtained. Most hiring managers don’t take the time to think about the creative issues you can ask in an interview. They will ask typical questions about the interview, such as “tell us about yourself” and so on. You can get many publications that cover many of the questions you can ask. It is important that you are prepared to answer these questions in a thoughtful manner. 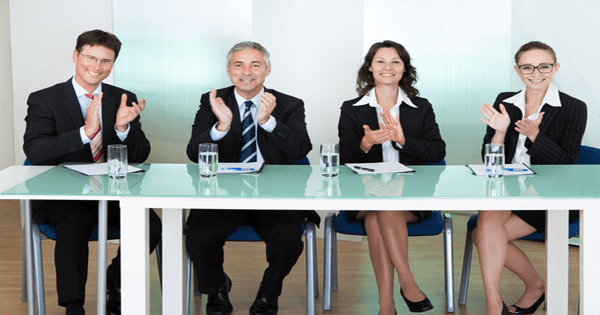 Being confident in your answers will help convince the employment manager to do the job. Most of the questions come from your resume. Check your resume and look forward to any issues that may arise. Important To Read: Job Resume Builder: How to Prepare a Professional Resume? For example, you may be asked to explain how you handled the specific achievements mentioned in the previous tasks. This is a great opportunity to tell a story based on the results you have prepared. Because there is no clear explanation in the course, that is, the employment gap, horizontal change, self-employment, there will be many problems. This area is often overlooked by people preparing for the interview. In this area, you can distinguish yourself from your competitors. These are questions about companies, products/services, strategies, target customers and business responsibilities, to name a few. These are not questions about benefits, pay or holidays. You ask these questions to convey the knowledge and knowledge that others will not do in the demonstration. You can ask about key questions that will enable you to tell a success story that emphasizes the value that an organization can bring. By asking inspiring questions, you can control the direction of the conversation. I am surprised that the proportion of respondents who have not asked questions is very high. Now you can reflect on the interest and enthusiasm that arises when renting. If you are paying close attention to these four aspects, how to prepare for the interview, you will be far ahead of the competition. Your extra effort will be noticed, which may be different from posting a job offer or rejecting a list. You can also add information about the various extracurricular activities and clubs in your school and college life. If you have any questions, talk about your work experience. Try to focus on your positive attributes. 2.) What positive advantage do you have? I have a positive attitude towards life and try to create positive vibrations around me. “My strength is my quickest way to adapt to new work, I can learn something fast, which allows me to overcome my ability. Because of this quality, I was promoted to the team leader in just 4 months in my last job”. 3.) What weaknesses do you have, how can you overcome this? This is a psychological problem and it is difficult to ask your own weaknesses. If you are a newbie, you can treat your experience as your own mistake, but don’t forget to increase your academic performance. You can also say that you are very concerned about everything that is sometimes boring to others. Another good answer might be: regarding my weaknesses, I think my interpersonal skills may be better, and I’ve been working hard to improve it. Tip: When you are concerned about your strengths and weaknesses, emphasizing positive attributes and reducing defects, you can’t be the perfect interviewer, and constantly strive to improve their weaknesses. 4.) Why should I choose you? This is one of the most common problems in job interviews and you must be competent. The meaning or indirect purpose of this question is to evaluate its unique characteristics. Everyone wants to be selected and wants to be more popular than others. To answer this question, you must show your special qualities and skills. Define your strengths and try to be very accurate and provide information at the same time. You should consider the job requirements that the employer insists on in advance and also have a complete list of requirements before attending an interview. Evaluate yourself and explore certain qualities that are right for your job. 5.) Why are you applying for this job? Try to focus on the details of the work instead of congratulating the company and the employer. Be calm and don’t be passionate about your actions. 6.) What is your career expectation? Expectations are always high and show employers that you want to see the company grow and provide the best return. 7.) Why Did you leave your last job or leave? If you have applied for this job for more than a year, please try not to be too negative about your previous job. Remember, until now, even you are part of the previous organization. 8.) How much work pressure can you afford? This is another psychological question. It can be said that the positive and competitive in the work environment will let you deal with the pressure. 9.) Where do you see yourself in the next five years? Everyone wants to be successful and says that you are observing that your business will develop best in the next five years, as this will also mark their success. 10.) What is your expected salary from us? The answer is that you can ask the company to evaluate and judge. It can be said that the wages paid by the employer will conform to the rules. 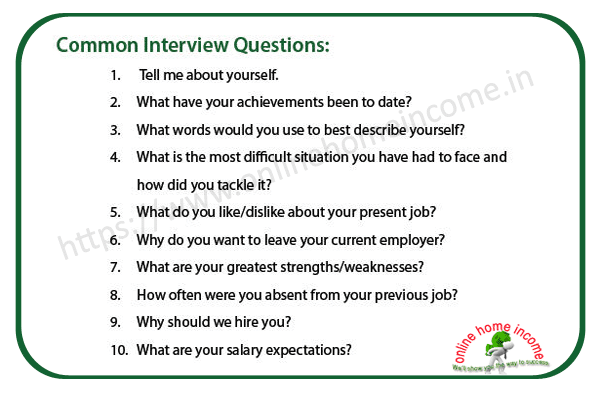 This list of 10 interview questions and answers will undoubtedly help prepare a plan for the next interview. These are some of the key points that can guide you to success. Another important aspect of getting a career is answering every question your employer wants to get from you. 1.) Understand the business: Gather all the necessary elements you need for your company so you can answer questions at any time. An understanding of society will make the conversation more interesting. Don’t hesitate to search the company’s website or other materials for information. You can also contact your employer and ask for details of the job you are applying for. 2.) Wear Proper dress code: Put on the right clothes for the interview. Your good attitude and dress code reflect the personality of yours. In general, wear formal attire for the interview. You must be present at least 15 minutes before the interview. For courtesy, remember to know the contact’s name and bring a copy of your resume and other references. 3.) Be Yourself: In the interview, it can help you stay calm and natural, so you should think carefully and answer all the questions you have. Smile if you don’t receive a clear question, don’t hesitate to ask for clarification, so be sure to answer each question correctly. Don’t forget to give a firm handshake after the conversation is over. Also, please remember to say “thank you” and hold the interviewer’s hand again to show that you are interested in applying for this position. 4.) Is the company financially sound? Since the economy has continued to slow down in the past two years, finding a job has always been a challenge and often a very difficult task. Many times, many job seekers have not even accepted for an interview because their resumes are not written professionally. Don’t worry there are many professional resume writing services available and you can make use of that. 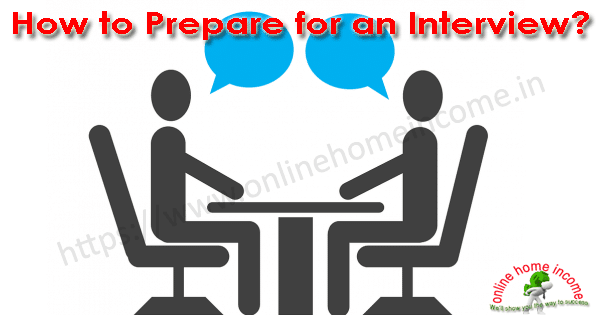 Therefore, it is necessary to prepare for an interview before the interview date to improve self-confidence and maintain a good conversation during the interview. 1.) Your work experience and previous achievements are the most important information in your resume that determines your applicability to your future work. How to showcase your skills and experience to future employers will help you increase your chances of getting a job. Before the interview, conduct a psychological test on the questions that the interviewer can ask so, you can feel more comfortable with your own problems. You can meet with potential employers as a confident, unsafe, clumsy person who will showcase their experiences and possibilities. 2.) In the interview, most interviewers hope that the communication is two-way, hence investigate the role of the job and learn about the job description. This ideology helps you to have an intelligent conversation with the interviewer. Similarly, it will help you solve problems by consulting the company’s website to get information about the company’s mission and vision. Showing a strong interest in the company will make your interlocutors passionate and determined. 3.) Appropriate dressing and punctuality are important as a good personal image will help you build a confident image for the interviewer. Also, be sure to arrive at the conversation on time and take into account the road conditions leading to the conversation. Leave early to make sure you arrive on time. 4.) After the interview, thank the interviewer for the time spent, confirming the interest in the job and the opportunity to work for him and the company. Inform the interviewer that you are ready to provide any additional information you need for the interviewer. Then, send an email to the interviewer and thank him for the interview. Confirm your interest in the work by attaching a brief summary of the reasons why you are considered to be the right person to work in the email. So, prepare well for the interview and present yourself in a pleasing and bold way to impress the employer. All the best for the interview folks!!! It has become a standard practice to prepare for an interview who are seeking for the job. When Looking for a job, your success depends on your skills and knowledge. You must know everything possible about the company before you go for an interview, explore information such as industry, company operations, sales, finances, your main competitors and business objectives. Understanding the company’s history and the example of business is important to understand the company’s strategy, style, and general approach, its problems, and solutions. It is much easier to learn this types of information from the internet using any search engines. Before the interview, you should look for another part of your research to discover how the company grows, including problems or trends in your growth and development. Most organizations provide complete information about their business on their website itself. Only thing is you should show some interest to learn those materials to prepare for an interview.